The official magazine of the College of Veterinary Medicine. The official newsletter of the College of Veterinary Medicine. 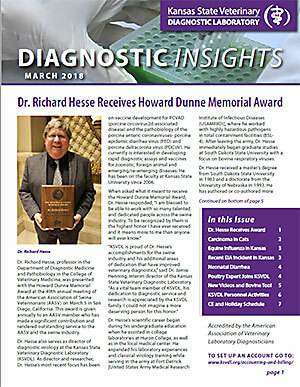 A newsletter from the Kansas State Veterinary Diagnostic Laboratory. The official magazine of the CVM. The former magazine of the CVM.